For wireless network operators, WAP promises to decrease churn, cut costs, and increase the subscriber base both by improving existing services, such as interfaces to voice-mail and prepaid systems, and facilitating an unlimited range of new value-added services and applications, such as account management and billing inquiries. New applications can be introduced quickly and easily without the need for additional infrastructure or modifications to the phone. This will allow operators to differentiate themselves from their competitors with new, customized information services. 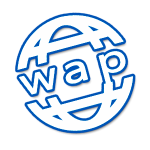 WAP is an interoperable framework, enabling the provision of end-to-end turnkey solutions that will create a lasting competitive advantage, builds consumer loyalty, and increase revenues. Service page access timeSetup connection time. Capacity to check Services behaviours via terminal simulation (using UAP). Web pages download, storage and validation. Terminal simulation vs WML content crosschecking.